Once you get to the Border, you can walk across, and we will pick you up at our designated pick up point on the Mexico side of the border (see instructions below). Flying to San Diego: Not only do have patients from Southern California, but many people come from all over the United States. For those who are flying in, we can arrange for transportation from the San Diego Airport, if you choose. Otherwise, it is simple to take public transportation from the airport to the border. Below you will find the instructions of how to get to the clinic from the airport of San Diego. From the airport, you will need to go out to the sidewalk by the baggage claim and find the bust stop. There is a bus stop in front of each terminal, and if you have trouble spotting it, just ask at the information desk in the lobby. From the San Diego Airport, you ride the 992 MTS bus. This isn’t difficult to identify since it’s the only type of bus that can go all the way to the airport. It also features two colors: red and white. As you board the bus, you will need exact change to pay the drive $7, and he will give you a “day pass” for the MTS system, which includes the bus, as well as the electric train, a.k.a. 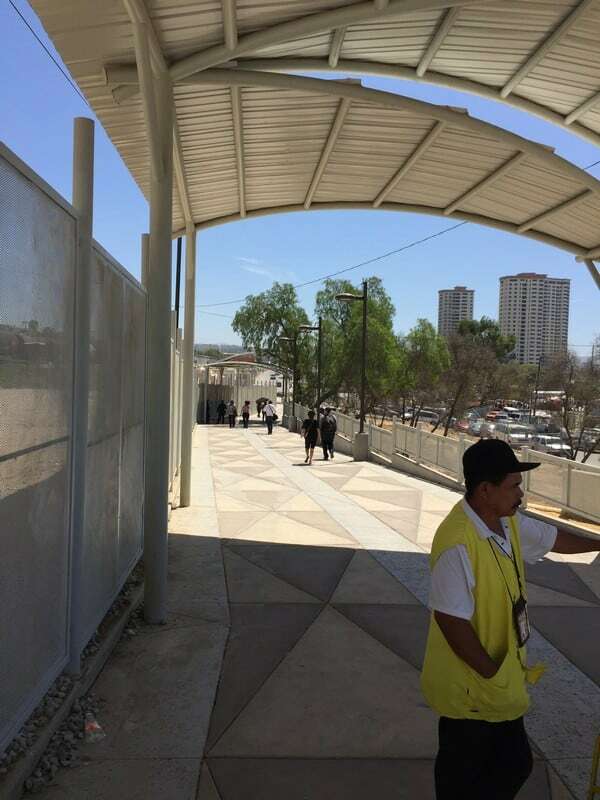 the “Trolley”, and will cover your fare all the way to the border, Inform the driver that you’re going to the trolley so he can drop you off at the American Plaza Station. The bus will drop you off across the street from the train station, so when you get off the bus, go across Broadway, and stand on the right side of the platform, the side next to the building. Look for a train that says San Ysidro/Tijuana (blue line). Ride the trolley until you can reach its ultimate stop, which is right at the U.S. Customs area. Getting off the trolley, walk South, down the platform on the side where the McDonalds is. Just follow the people. You will go up a ramp that leads to a gate that says “MEXICO” in big letters. One of the great things about the clinic is that it sits close to the U.S. border. In fact, you can leave your car on the U.S. side, go through customs by foot, and be where our driver will pick you up in just 5 minutes! You may drive to the border and park your car on the US side, or you may take the electric train, called the “Trolley”. 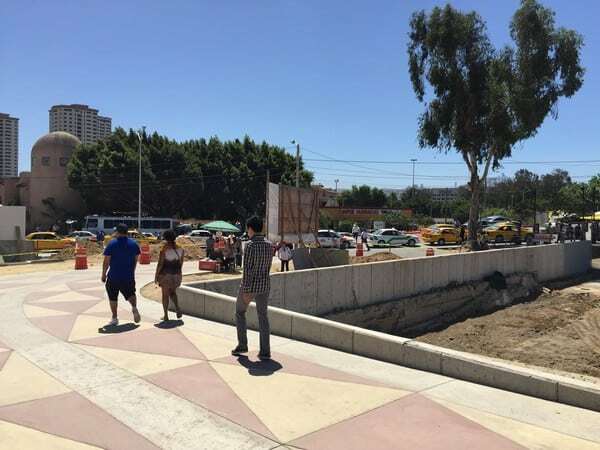 If you drive to the border, the easiest place to park is on the east side of the freeway. Take the exit 1-A, for Camino de la Plaza. At the traffic light at the eand of the exit ramp, turn left, and go up over the bridge. At the end of the bridge is a traffic light, (you will see a Burger King on your left). You will see several places to park, but one good one is to turn right at the light, and go toward the border. You will immediately see the entrance to a secure parking lot on your right. Park there, or behind the Jack in the Box you will see further down on your left. 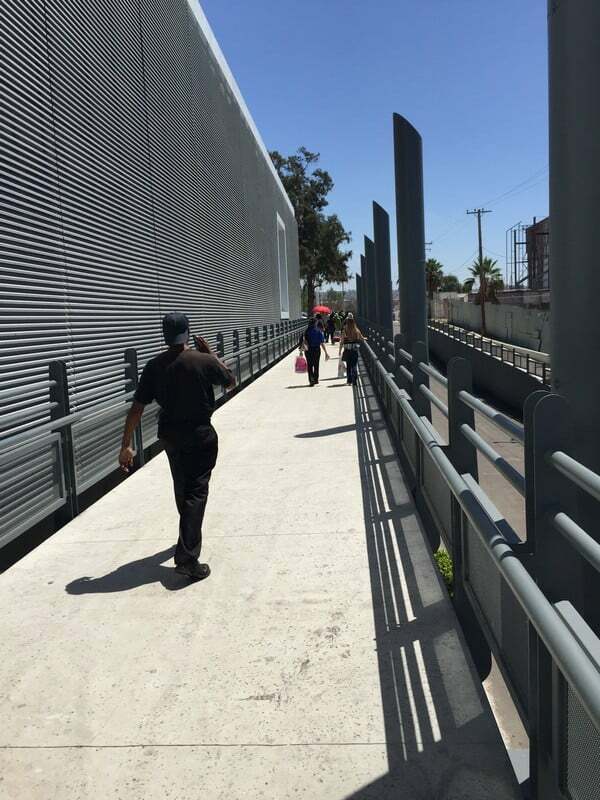 After parking your car, walk down the side of the train tracks toward the border. You will see a McDonalds there on the side of the train tracks. Go past it, and follow the people getting off the trolley. They will be walking around the end of the buildings and up a ramp that leads to a turnstile gate that says “Welcome to Mexico”. Once you are through the gate entering Mexico, just follow the people. You will enter the door of the Mexican Customs office for pedestrians. Walk through the office, and when you exit, you will just walk down the sidewalk all the way until you come to a street where you will see a lot of taxis waiting to pick up people. When you come to the street, the sidewalk will curve around to the right, but you will need to cross the street. 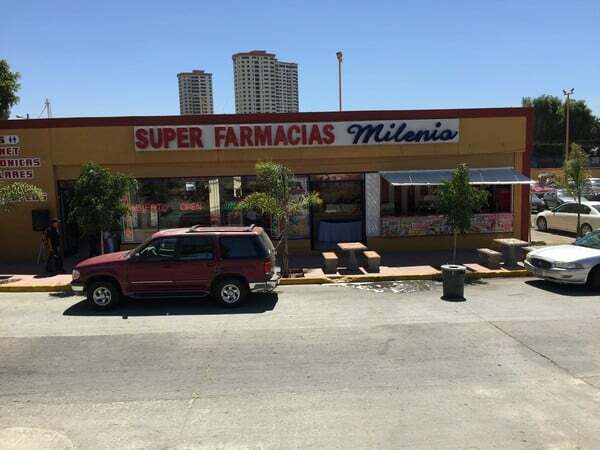 You will see a pharmacy in front of you, “Super FARMACIA Milenia”. Go and stand in front of this store, and look for our driver. She will be driving a gold colored Honda Civic, and on the door is our sign “Dr. Mexico – Tijuana Dentist Center”. Go and stand in front of the “Super FARMACIA Milenia” pharmacy, and look for our driver. She will be driving a gold colored Honda Civic, and on the door is our sign “Dr. 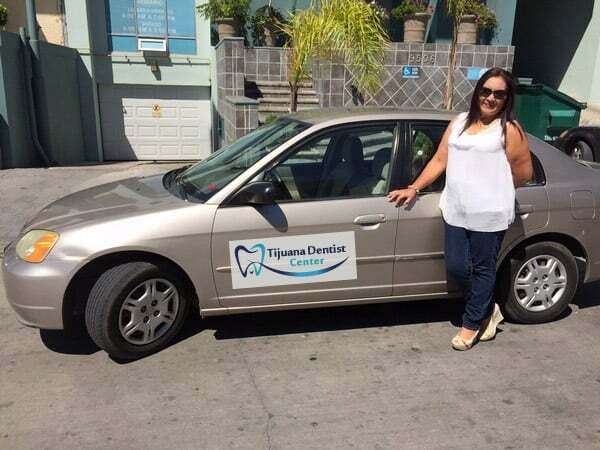 Mexico – Tijuana Dentist Center”.